This past weekend, hundreds of Canadian models and talent attended CMTC to meet international agents and showcase their skills. 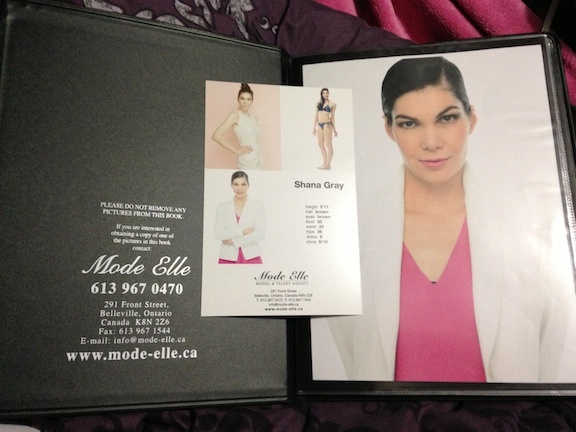 Shana Gray, represented by Mode Elle (personal manager, mother agent) was among them. 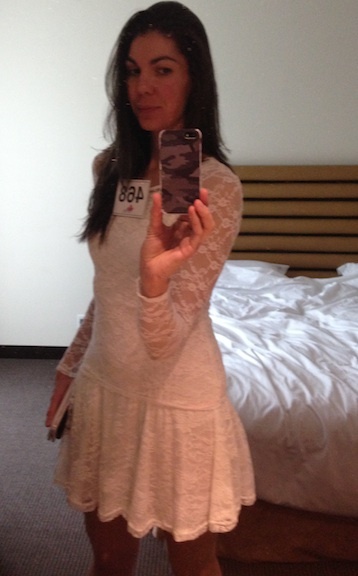 During the weekend, Shana attended seminars and workshops presented by agents from markets as diverse as Paris, London and Milan, and presented her monologue on stage to pick up some useful acting tips from an LA casting director. 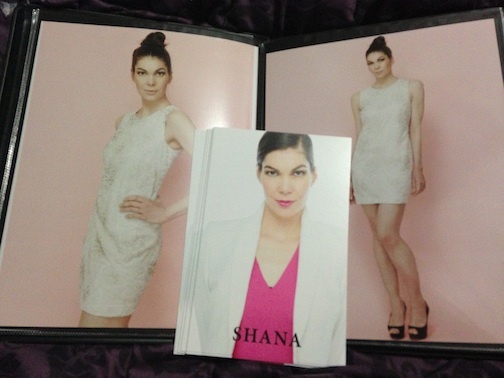 Shana participated in ten showcase competitions including photography go-see, runway, swimsuit, cover photo, commercial print, tv commercial, cold reading, improv, monologue and singing. Although it is impossible to attend everything at CMTC, there are seminars presented from every corner of the planet, including modelling from New York to Europe to Asia to Africa, and practical workshops covering topics from acting skills to nutrition (presented by an international model). In the evenings, models and talent let down their hair for some theme parties, and on the final night, an awards banquet is presented for the year’s top picks from the competitions. CMTC is a very exciting experience, an opportunity to showcase Canadian talent to top agents in worldwide markets. 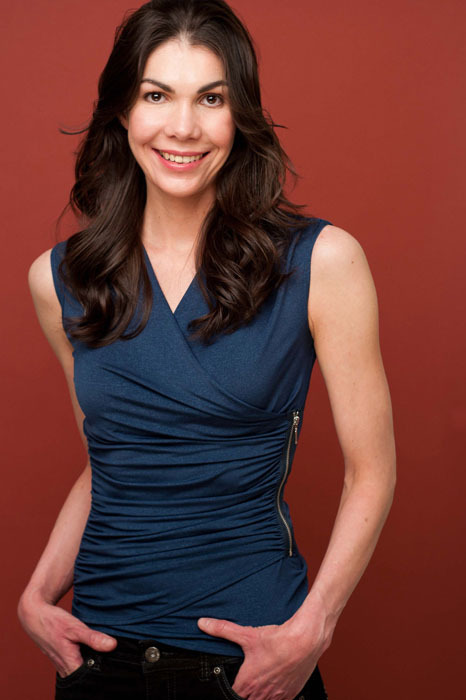 Shana can be booked directly in the Toronto area market, and is represented internationally, via mother agent and personal manager Mode Elle. Agents can connect with Mode Elle to request Shana for their markets. 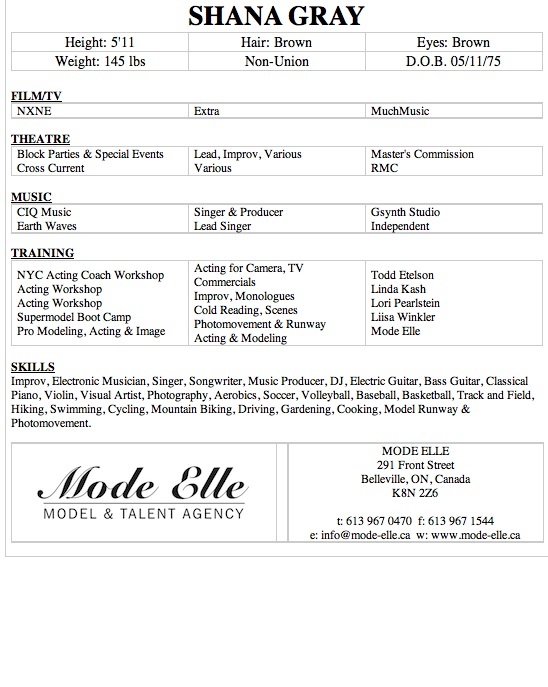 Recently Shana signed a contract with Mode Elle, international model and talent agency, for representation in modeling, acting and music. 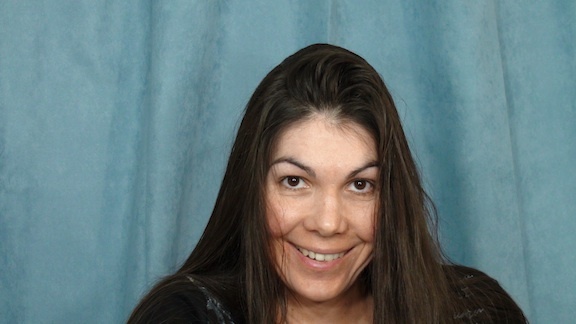 “It’s a greater opportunity than I was expecting,” Shana explains. “As a multi-talent artist I’m excited to be more involved in the international fashion, film and music industries.” Her acting resume is now posted online and a flurry of activity is taking place in her creative studio. “Since I’m signed with a model and talent agent I thought I’d like to design a fashion line first.” In keeping with her music industry background, she designed clothing on the Reverbnation platform. “The current fashion designs are inspired by paradise colours and a distinctive logo design that reminds of a butterfly.” You can pick up some of her new fashion at her CIQ fashion website! 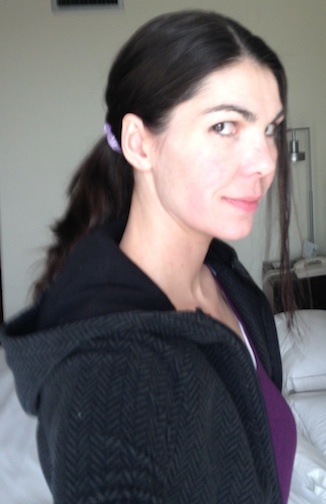 She is on twitter at ShanaModel. Watch for more fashion designs coming very soon, and lots more upcoming record releases and remixes! 1 – She is an Exceptional Producer, Keyboardist & DJ. 2 – She has an extensive background in music and in charity. 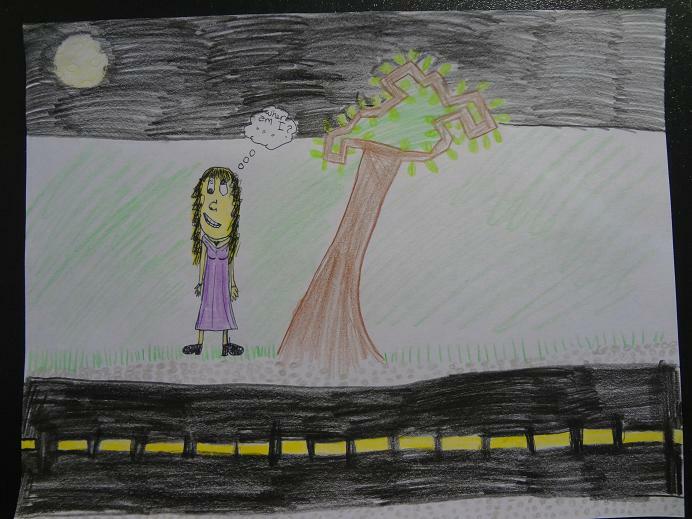 3 – Her talent and ideas are original and fresh. 4 – She has a reputation to spark revival. 5 – She needs a reason to believe the masses believe in her. 6 – She has a reputation for integrity and being true to herself. 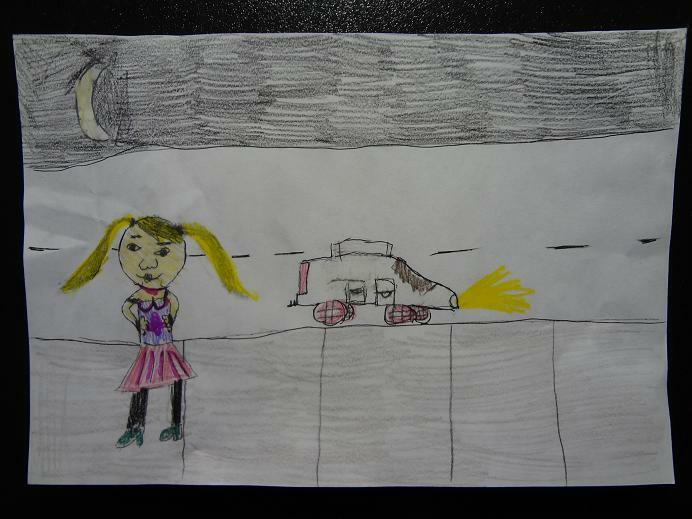 7 – She is an in demand role model. 8 – She deserves recognition for her world class talent. 9 – This poll determines pay rates for DJs. 10 – Very few women EVER rate in this influential poll. 11 – She will bring many talented deserving artists with her. 12 – This world needs her. CIQ will need thousands of votes from YOU, the masses, to rate her in this poll. 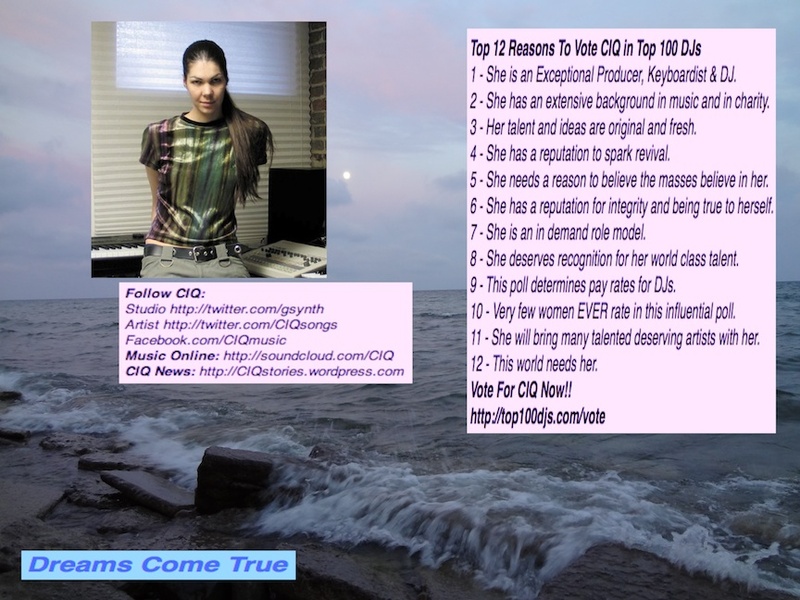 Please vote for CIQ now at http://top100djs.com/vote !! Please spread the word!!! Thank you!! 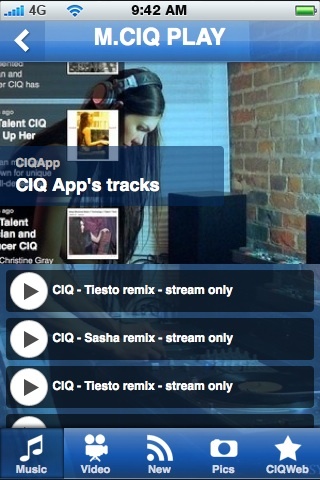 Limited Time FREE DJ CIQ App!!! CIQ has been involved in the entertainment industry on many levels throughout her career, ranging from different media to underground events production, music studios and record labels, the gear industry and worldwide travel. Her media profile is online at CIQ Media and more at Gsynth.com/Portfolio. The music industry was a fairly easy experience for her considering she was trained in classical piano and violin since the age of six. She attended York University for keyboards performance in the modern music fine arts program, and Harris Institute private arts school for producing engineering. During that time she worked for a lot of companies to pay her way through school (and some worldwide travel after that! ), but ironically it was her social life that first put her on the map worldwide. “On the weekends, my friends and I were promoting events in the rave and club music cultures in Canada and USA. We were in contact and promoting our events through the internet, and through that I became known worldwide,” she says, laughing. “Probably a lot of people didn’t even know I was a performer, going to school, or a studio engineer in those circles. In fact most the companies I worked for probably didn’t really know either, they just knew what I did when I was working for them.” This focus enabled her to work a lot more jobs and get more done, she explains, and maintain a sane social and personal life, not to mention, finish her education. 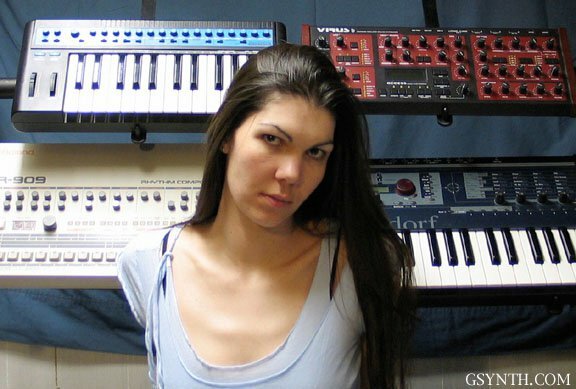 CIQ, better known in music industry circles by her producer name Gsynth, takes a few minutes out of her insanely busy schedule this week to introduce herself to the worldwide music industry, for those who have not yet had the opportunity to meet her face to face. Included here is the transcript from the videos, which are posted on CIQmusic and Gsynth video channels. Hi everyone, I am CIQ in Canada… originally from “Hollywood North” also known as Toronto. (Laughs.) 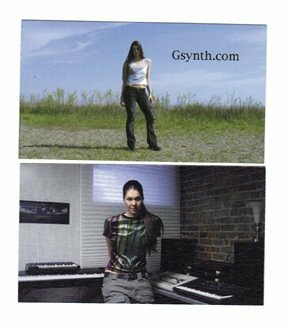 Most people probably recognize me by my producer name, Gsynth, since about 1995, USA. 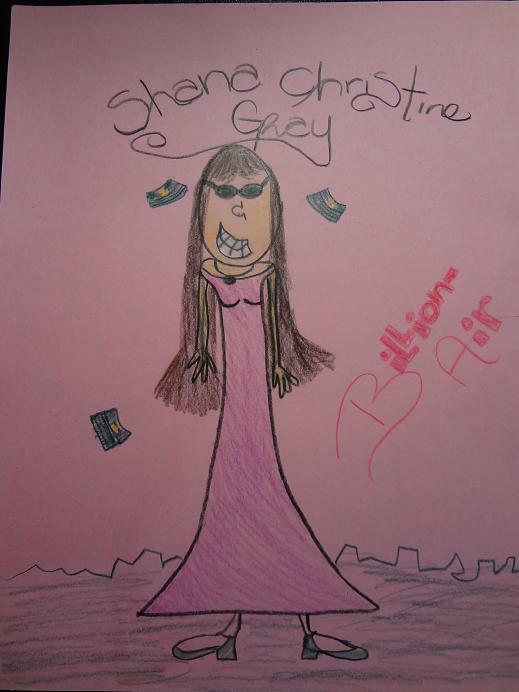 Some people may know me by my real name, Shana Christine Gray. At this point I’m looking to do something worldwide in an artistic and business capacity to make a difference in the world. A bit of background on me, since a lot of the industry don’t seem to know me worldwide. I played violin in a symphony orchestra when I was 13 years old. I’ve been self educated since then in psychology, business, social causes, and my favourite saying in high school was ‘the world is his who can see through its pretension’. At age 15 I started working worldwide, nonprofit causes, I spent my summers overseas in Central America and Eastern Europe. I was trained classically in piano and violin since the age of six and nine. I did two years of postsecondary training in music at York University in modern electronic music performance, and I studied producing engineering in the studio at Harris Institute in Toronto. I studied business under Robert Allen’s protege program from America. Previously to that, my first postsecondary education was two years in the USA in the arts discipleship program in Master’s Commission. At that point I worked with youth, young adults, children and all ages. I also taught myself fretless bass guitar in one hour when I was 20, and I taught someone else how to play piano in two hours. I play a lot of musical instruments, run the recording studio by myself, and I’ve worked in nearly every capacity in the music industry, many more in the greater entertainment industry, and other industries and businesses, mainly in Canada and USA. 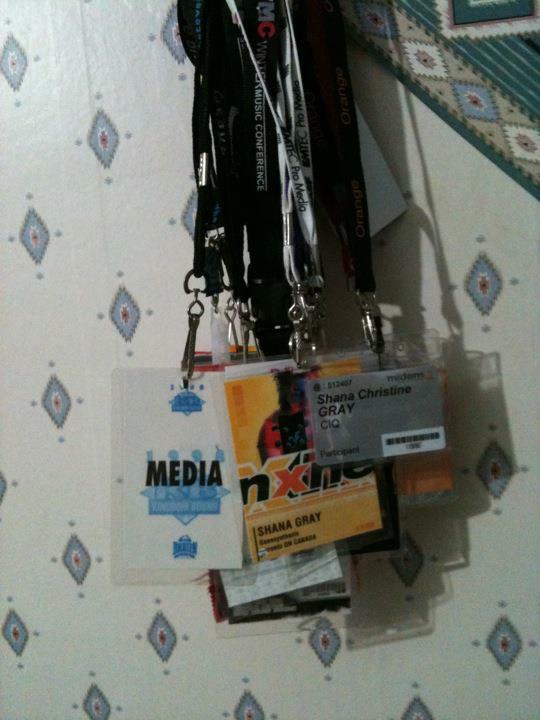 I’ve worked for many top companies in the music industry in Canada and USA, while I was still in school. Some of those would include MuchMusic, BMG Records, Contact Music Industry Directory, and CMJ Music Marathon in New York City… and the rest of those were in Toronto. Basically I’m a producer, entrepreneur and artist, with six years of postsecondary formal education, a lifetime of classical music education in piano and violin, plus self education. Most people who know me from the internet, probably know me from my DJ network, DM4C, which covered one fifth of North America, and my events list StreetBeatz. I was an events promoter, worked in media, organizing events, booking talent, performing live myself, mainly electronic bands… all this while I was still in school, approximately 97 to 2002. I am Canadian, I am a Christian, I accomplish the impossible every day. One more thing I want to add… I graduated in a preppy high school with 98.5% average in math and science. I don’t even like math and science. So please don’t underestimate me. (Laughs.) I spent a lot more time on travel, outside trips in and out of school, and some in the gifted program. At this point people who hire me for jobs tend to offer me upfront contracts, with clear expectations of a time frame and enough money to motivate me, otherwise you probably won’t get a response from me. Most top companies I worked for did pay me an extra 50% after I completed my work. I haven’t worked a lot for others since I was about age 28. I have been travelling worldwide. 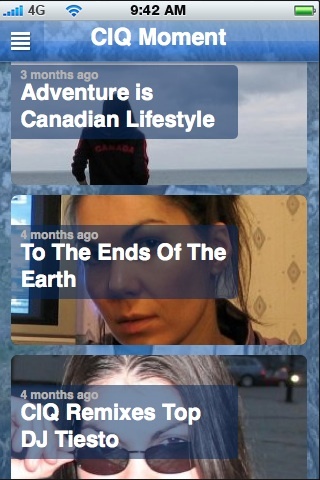 I was a little bit bored with what was left of the Canadian opportunity. I really had accomplished all of my goals here. 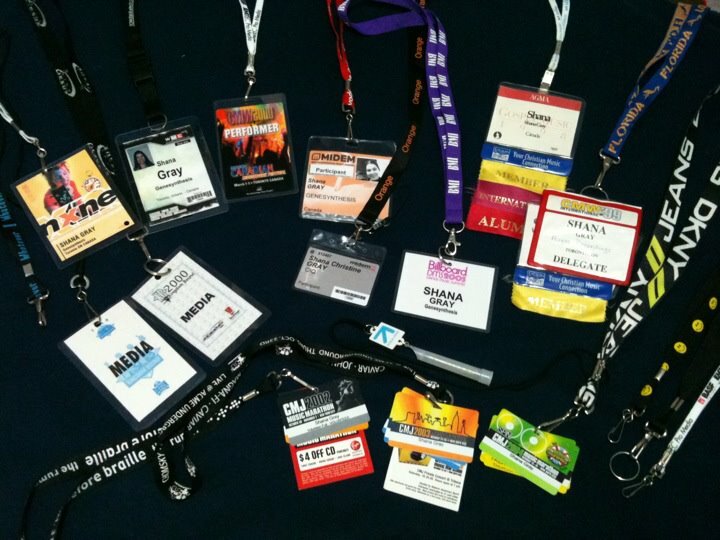 So I have attended a lot of music and business red carpet events, and the internet has made a lot more possible in recent years. So expect to see me more online. It is my goal to do something worldwide. So I’ll see you around everyone… Peace Love Unity Respect. 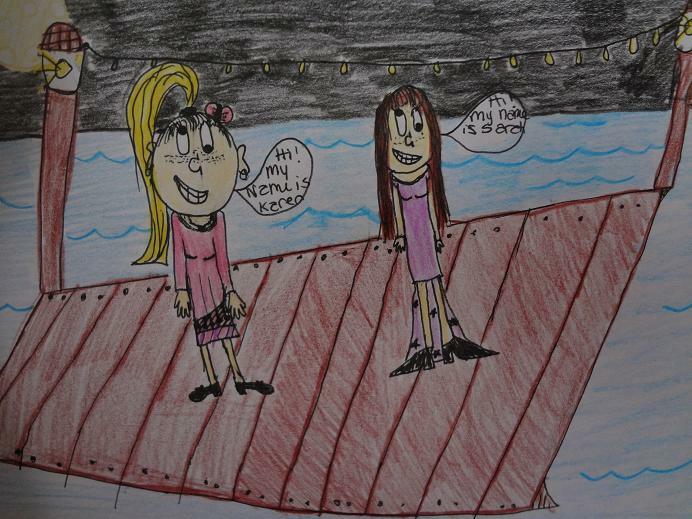 CIQ shares some drawings from her young nieces who are also multi-talented artists! CIQ would like to wish everyone a beautiful and blessed New Year 2012. Some random 2011 behind the scenes memories in CIQ’s life are posted at Facebook.com/CIQmusic . Enjoy, and all the best for the New Year! It was 1995 when CIQ first moved to USA. Among several other creative projects she worked on, she soon found herself playing in several different bands every day of the week. All of them, with her keyboard sounds and skills, were live bands with an electronic music element. But she had to give up her first trip to LA to audition for York University’s modern electronic music program in Toronto. It was a great decision. After her acceptance into the program she fit four years of keyboard performance classes into two years. She spent most her spare time jamming with friends, performing on local stages, and picking up work in the local music industry. Then she studied producing engineering at Harris Institute for the Arts until she found herself working 24/7 in Toronto’s music industry. But her work in Toronto’s industry started before she even started school. Right before frosh week, she showed up at a local music festival and introduced herself to the bands there. This soon led her into a string of performances in a few different cities. 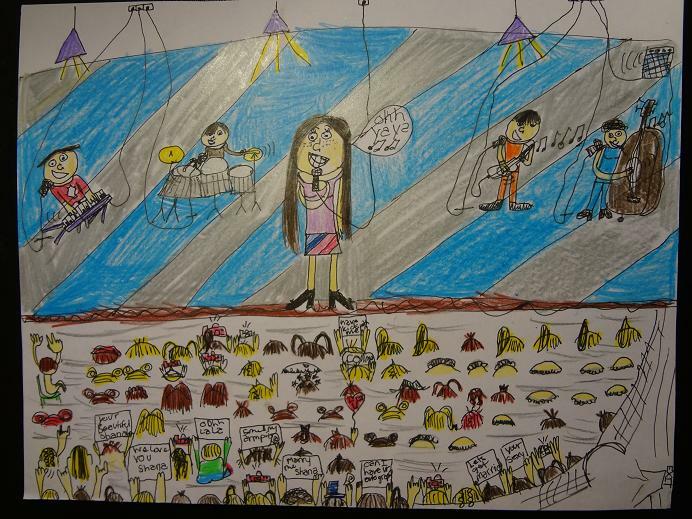 She had started her own band with friends from school but it wasn’t long before they said “say no to gigs” because between the shows, travelling, practices and writing songs, school was getting pushed aside. They had been asked to open for a band at a festival with an attendance of 30,000 people, and to open for them on their upcoming tour. But after talking it over with her band, CIQ and her friends decided to finish school first, because they had just started. So CIQ decided to get involved with local media instead. Soon she was working with and hanging out with people in radio, print media and TV. She started a few of her own projects, mainly on the internet. During this time she was hitting local shows with her media passes and soon took a trip to Kingdom Bound festival in Darien Lake, New York. When she was interviewing and meeting all the bands in the media tent, a radio network took note of her and asked if she was interested in being a station manager at a new radio station they had just purchased. As tempting as it was, she returned back to school to finish her keyboard studies first. But what happened next put CIQ on the worldwide map. She went with friends in the media industry to a club night and it was her first real encounter with DJ culture. That night she began working with local events in Toronto’s underground club and rave music culture. For the next five years she worked with several local promoters, booking talent and promoting events. She ran a DJ network online along with an events mailing list and websites with pictures from the events. Most of the events were within a day’s drive of the Great Lakes area in Canada and USA. Often there were three events every week. The internet was still fairly new. Her promoter years were mainly 1998-2002. 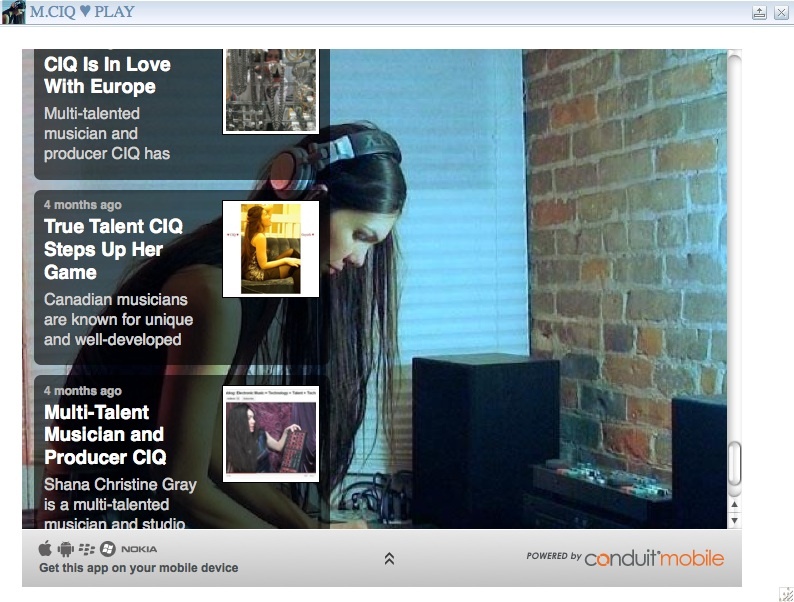 The scope of the internet put her in touch with DJs and performers, music lovers and the industry worldwide. She eventually made a decision to put promoting events aside because she wanted to spend more time in the studio. It seemed everything she took on became a full time job very quickly. 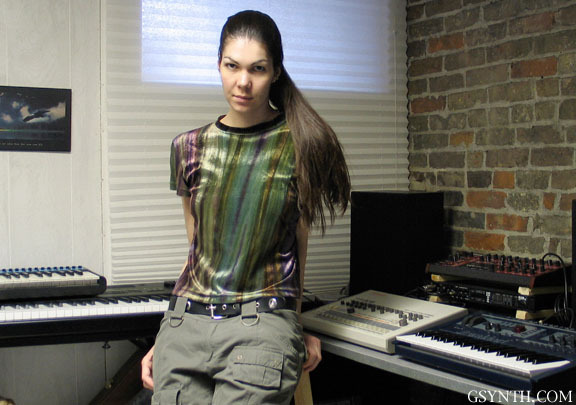 While she was still in school, she had found time to work for several businesses in Toronto’s industry, mainly in studio engineering and the gear industry. 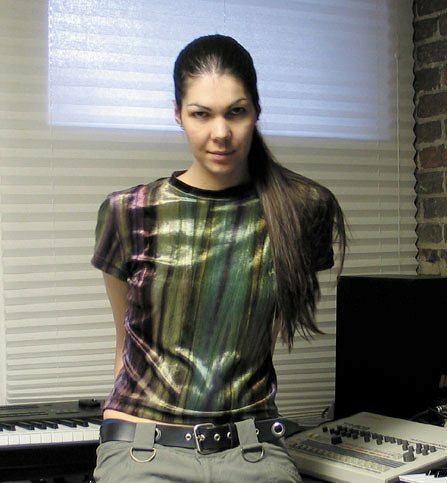 She had worked in the synth shop at Long & McQuade, a handful of studios including MuchMusic and temporary studios in clubs, warehouses and private mansions, and record labels including BMG in Toronto, and independent Hollywood electronic labels in USA festivals. She worked a few times with the CMJ college radio music festival in New York City. 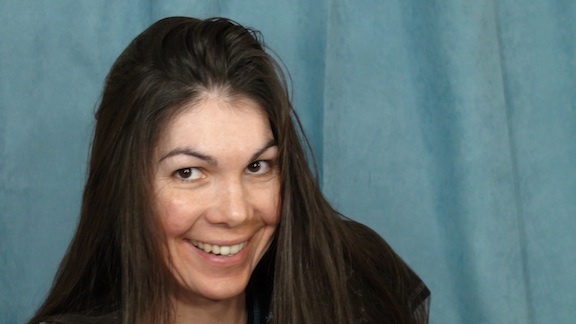 She wrote the gear section for Contact music industry directory and joined the publishers at the Juno Awards where they had published the program guide. She really enjoyed networking in the business and artistic industries in Toronto, and her work also took her to other cities including Montreal, London, New York, Miami and Cannes. She was offered many more opportunities, including taking over well respected business, but she wanted to focus on her own creative project. She set a goal for herself after working for so many companies, to start her own business, to make her own music, and to reach out on an international level. So she took an entrepreneurial business course, started writing songs in the studio, and networking more seriously worldwide.